Today Beadsaholic brings a review of Redbalifrog Strawberry. Recently we saw the release of Redbalifrog’s Sweet Harvest (preview here) and today I am sharing a review of Redbalifrog’s scrumptious “Strawberry”! Though its Autumn here in the United States, we can still buy strawberries at our supermarkets year-round and it’s a staple food in most households. It’s also a beautiful plant that reminds me of my childhood in my grandmother’s garden, I always loved to pick the strawberries, blueberries and blackberries. Strawberries were a symbol for Venus, the Goddess of love because of its heart shape and red color. Here you can see the leaves design on the top of the bead. I have paired Redbalifrog Strawberry with Redbalifrog Pineapple, Pomegranate, Fruit Bowl Lock, Ogerbeads and Ohm Beads. I’m including photos of this compositions at different angles to show all the beads. Redbalifrog’s Pineapple has always been a favorite of mine and here in the south it holds a lot of symbolism. I usually include the Redbalifrog Pomegranate in my Christmas bracelets, it’s such a beautiful fruit bead. The Fruit Bowl Lock is stunning with Apples, Pears, Grapes and Bananas! I love the Ivy type detailing that goes up the side of the clasp. 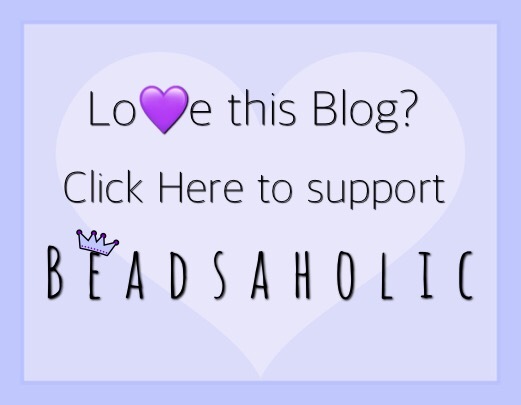 All photographs belong to Beadsaholic.com, please give credit when sharing. Over all, this is a great bead. If you have been looking for a strawberry, then this is the best one I’ve seen. It will work in many different compositions. 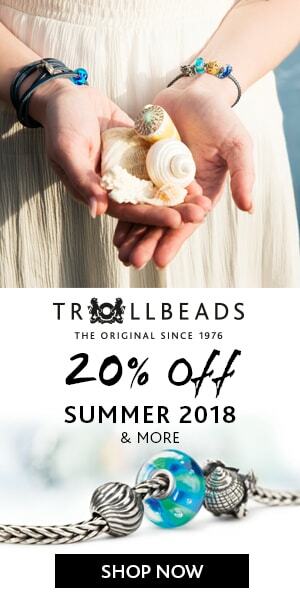 If you would like to shop for this bead or would just like to browse the Redbalifrog collection, then you may do so by clicking any of the following links.